Introducing Skin Inc's Wonder Serum - My Daily Dose® of Glow to illuminate and brighten for the day. Born from data, My Daily Dose® of Glow is one of the best-selling and most sought-after serum cocktail that addresses your #skingoals. 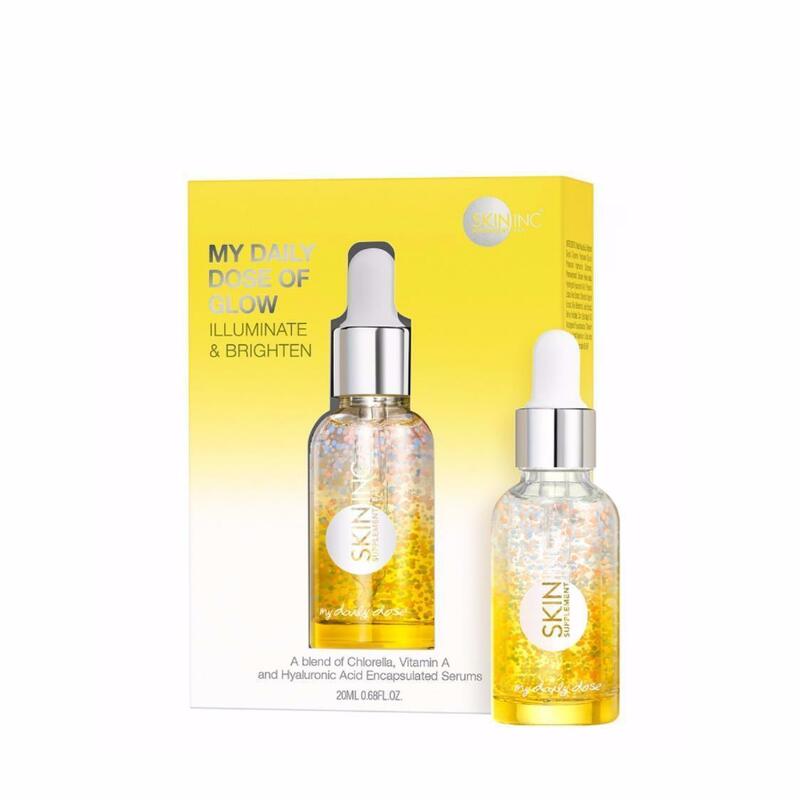 This cocktail mix of powerful ingredients encourage a rapid turnover of cells for younger-looking and brighter skin, targeting concerns like dull, uneven and aging skin, as well as dark circles. In a perfect size fit for your 28-days skin renewal cycle! Skin Inc’s Patented Japanese seaweed encapsulation technology protects active ingredients from light and oxidation and allows eﬀective delivery for maximum efficacy. 0% added scent & paraben.